What is the Most Common Cause of Medial Elbow Pain? Medial elbow pain can be caused by a disorder known as ulnar nerve entrapment. Activity that involves rapid flexing of the wrist may cause medial elbow pain. Tennis elbow is a painful condition caused by activities — often sports — involving rapid flexing of the wrist. The pain occurs in the medial elbow, the bony area closest to the body, and the proximal — or upper — forearm. The pain and the condition, also known as golfer's elbow, both worsen when the wrist is snapped back and forth. 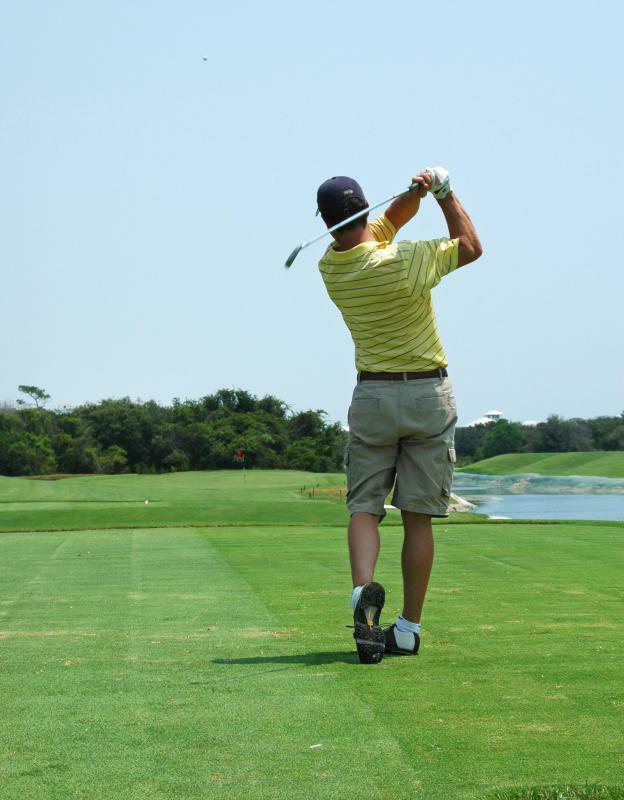 Activities involving any kind of throwing, weightlifting, golfing, racket sports such as tennis, and skiing are the most common causes of medial elbow pain. Activities involving movements such as throwing a ball can cause an ulnar collateral ligament (UCL) sprain. This usually triggers the onset of medial elbow pain, which often increases with continued activity. Stress testing by a physician may show instability in the elbow after such a sprain, and traction spurs and other problems can be identified with a radiograph. Magnetic resonance imaging (MRI) is usually not necessary to diagnose a UCL sprain, though the procedure can be used to identify tears in the ligament that may also lead to medial elbow pain. Medial elbow pain can also be caused by a disorder known as ulnar nerve entrapment. This condition is usually accompanied by forearm pain and pain the outer portion of the hand. It may result in a weakened grip, clumsiness, and unusual fatigue. The ulnar nerve becomes tender, and the person's strength when attempting to pinch with the index finger is noticeably reduced. Many of the culprits behind medial elbow pain in general also are to blame for ulnar nerve entrapment. Other types of elbow pain are also associated with overuse activities involving the elbow. Biceps tendinosis, for example, commonly results from bowling and gymnastics, and bursitis can be the result of activities including football, wrestling, and basketball. Racket sports can cause trouble with triceps tendinosis, lateral tennis elbow, and radial tunnel syndrome. Throwing sports such as baseball cause a variety of painful conditions aside from medial elbow pain. Pronator syndrome, olecranon stress fracture, triceps tendinosis, radiocapitellar chondromalacia, and olecranon impingement are all associated with throwing sports. Elbow pain caused by overuse injuries or excessive sports activity are typically treated by protecting it, letting it rest, applying ice, applying compression, elevating it, taking medication, and participating in physical therapy, or modalities (PRICEMM). Protecting the injured elbow from further stress is important, as is controlling inflammation. Resting the injured elbow, applying ice and compression, and elevating the joint will help to reduce pain. Medication can be prescribed for inflammation and pain, and physical therapy may be needed; sometimes rest and rehabilitation exercises are all that's needed to improve the condition and relieve the pain. What Is the Valgus Stress Test? What is a Medial Nerve?